TORONTO – Kickoff on the 2017 CFL season is only a month away — but in case that feels too long, TSN has the remedy. Over the next four weeks leading up to kickoff on June 22, TSN will re-live the top 16 games of the 2016 season. Capped by the largest upset in Grey Cup history, the 2016 season had a little bit of everything from record-breaking performances to hellos and goodbyes to stadiums new and old. Henry Burris proved that the REDBLACKS were his team in Week 16 after replacing Trevor Harris and rallying an unlikely comeback to force overtime against the Saskatchewan Roughriders. Ottawa lost that game but the REDBLACKS kept the steady hand of Burris under centre for the remainder of the season on their memorable run to their first Grey Cup Championship in 40 years. It was pouring rain at TD Place but that didn’t stop Jeremiah Masoli and Henry Burris from putting on an air show in a battle for first in the East. 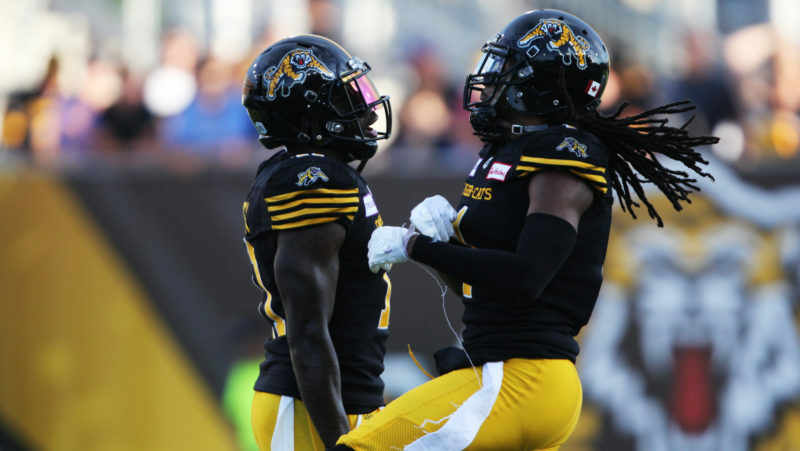 Burris tossed for 418 yards, connecting on 31-of-41 passes and three touchdowns but it wasn’t enough as Masoli’s trio of touchdown passes helped the Ticats erase a 27-12 halftime deficit to win 39-36 in overtime. Week 19’s tilt between the Roughriders and Lions meant a lot more to Saskatchewan fans than just the game happening on the field. It was the final game to ever be played at Mosaic Stadium before the Roughriders move into their new digs in 2017. While the Lions wound up winning a one-sided affair, the final farewell at old Mosaic and the festivities afterwards marked a touching and memorable moment for Riders fans new and old. Some clutch footwork by one of the league’s best kickers in Justin Medlock helped the Bombers win their first Mark’s Labour Day Classic since 2004 — a walk-off win over the Riders. Darian Durant helped rally the Riders to a late-game tie, but with just 43 seconds left, Bombers pivot Matt Nichols drove the offence into field goal range to set up the game-winning boot from Medlock. Darian Durant’s first win in two years was a thriller, as the veteran quarterback was the overtime hero to send his Roughriders to a win over the Eskimos in Week 13. Down 17-9 heading into the third quarter, the Roughriders needed to make a splash, and fast, if they wanted avoid falling to 1-11 as the club was still looking to find itself under new head coach Chris Jones. Trailing by seven, Durant took control, moving the Riders down the field. Armanti Edwards ran into the end zone for a major, tying the score with just over two minutes left in regulation. The Riders’ defence held the Esks to just a field goal in overtime before Durant sprinted into the end zone for the game-winning run, solidifying the Riders’ second win of 2016. What’s better than a Labour Day Classic between historic rivals? Fans of any participating team could argue nothing, really, and last year’s tilt between the Tiger-Cats and Argonauts was no exception. Ricky Ray and Zach Collaros put on a show for the fans at Tim Hortons Field, combining for 744 yards and seven touchdowns in the offensive showcase. The 85 points scored between the two clubs was also the highest scoring Labour Day Classic game in history between the two of them. The Ticats came back from a 30-17 halftime deficit to create some space between themselves and their hated rival in the East. The opening week of the CFL’s 2016 season saw the rematch of the 103rd Grey Cup as the Ottawa REDBLACKS took on the Edmonton Eskimos. This time, however, it was the REDBLACKS who came out on top, defeating the Esks 45-37 in an overtime thriller. 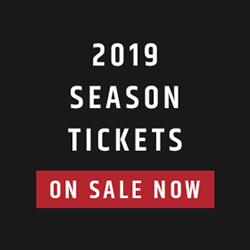 Trevor Harris replaced the injured Henry Burris – who left with a pinky injury that he later sidelined him for a few weeks – and lit up the Eskimos’ defence in a sparkling debut as an Ottawa REDBLACK. Even just six weeks into the CFL’s 2016 season, it was clear that the Calgary Stampeders were something special. The Stamps scored 22 points in the fourth quarter alone to force overtime, while two late interceptions against Jonathon Jennings helped seal the impressive comeback. Rene Paredes kicked the game-winning 42-yard field goal in overtime to make it official, at the time sending a clear message to the rest of the CFL: The Stamps are No. 1. Week 3’s contest between the Calgary Stampeders and Ottawa REDBLACKS marks the only tie that occurred in 2016 in a game that was an early preview of the 104th Grey Cup. The tie was near the start of the Stampeders’ 16-game unbeaten streak and was also an early glimpse of what the REDBLACKS were capable of, including one of their four 1,000-yard receivers, Chris Williams, who set a CFL record for most receiving yards in three games to start a season with 493. If fans were looking for offence, they looked in the right place if they tuned in to Week 15’s contest between the BC Lions and Ottawa REDBLACKS. 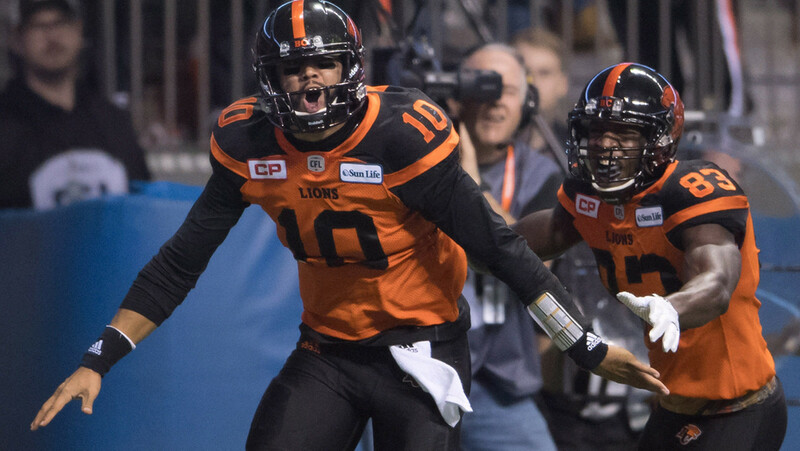 Both teams combined for over 1,000 yards of net offence as the Lions topped the REDBLACKS 40-33 on their way to proving they were one of the teams to beat in the CFL. Trevor Harris tossed two touchdowns and threw for 485 yards but it wasn’t enough to beat the surging Lions. Darian Durant and the Riders stunned the defending Grey Cup Champions with an improbable comeback to force overtime — but in the end, thanks to Mike Reilly, it was all for naught. Not long after erasing the Riders’ late fourth-quarter lead, Reilly set up the go-ahead and eventual game-winning Sean Whyte field goal in overtime as the Esks thwarted their former bench boss in an early summer classic. The Eastern Final had everything a CFL fan would have wanted – a close comeback late in the contest, two quarterbacks dueling it out on a very snowy November afternoon and even a receiver celebrating a touchdown with a snow angel (Greg Ellingson, we’re looking at you). The REDBLACKS survived a furious Eskimos comeback attempt in front of a raucous snow-covered audience at TD Place, earning a second straight trip to the Grey Cup. Meanwhile, a hero was born in national running back Kienan Lafrance, who carried the REDBLACKS’ offence much of the day. 2016 seemed to be the year of the comeback for the Tiger-Cats, as they fell behind and clawed their way back on numerous occasions. Nothing, however, could match what they did in Week 5. Trailing 31-6 in the third quarter, Jeremiah Masoli strung together a CFL record-breaking series of passes, tossing 23-straight completions to pull his team back from a 25-point deficit – the biggest comeback in Ticats history. What’s that they say about no lead being safe? A furious fourth quarter comeback wasn’t enough for the Winnipeg Blue Bombers to take down the red-hot Stampeders in Week 14. By this time in the season, the Stampeders were the ones to beat, riding an impressive 10-game winning streak, while the Bombers were cruising with their own run at seven. With everyone asking whether the Bombers are for real, the Stampeders answered with a resounding ‘no’, storming out to a 23-point lead. Yet Matt Nichols quickly flipped the script, erasing the deficit after finding Julian Feoli-Gudino in the end zone inside the final half minute. Bo Levi Mitchell took just 20 seconds to move his team down the field with ease, setting up Rene Paredes to kick the game-winning field goal with four seconds left on the clock from 52 yards out. 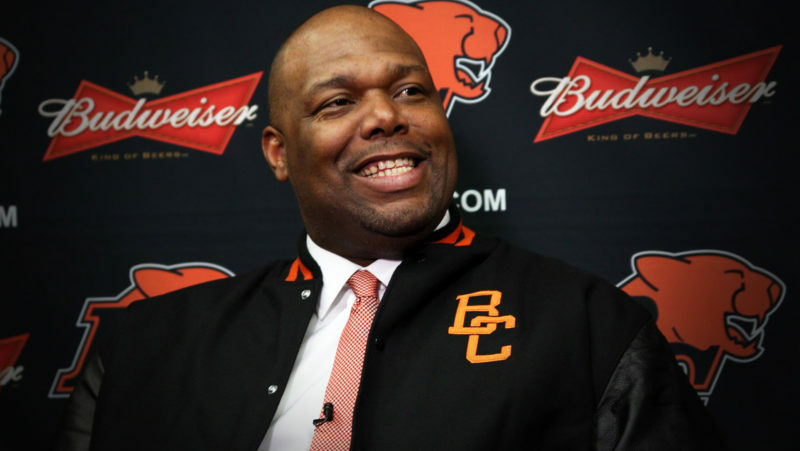 The BC Lions only led once in the Western Semi-Final and that was all they needed on their way to a win over the Blue Bombers. Jonathon Jennings took off with almost a minute left in the contest and sprinted into the end zone for the nine-yard game-winning touchdown, set up by seven straight pass completions from the 24-year-old pivot. After Justin Medlock attempted, and missed, a 62-yard field goal, BC roared into the Western Final. Trailing by 28-12 in the third quarter, the Lions were down but not out, as Jennings scored his first rushing major to cut the lead before finding the newest acquisition to his receiving corps, Terrell Sinkfield, to bring his team within five. And then Jennings did the rest, moving the chains down the field to set up his eventual game-winning run — a career-defining moment for the up and coming sophomore and one of those defining moments we’ll remember for a very long time. The most entertaining game on the biggest stage, nothing can come close to matching what happened in late November by the lake in Toronto. 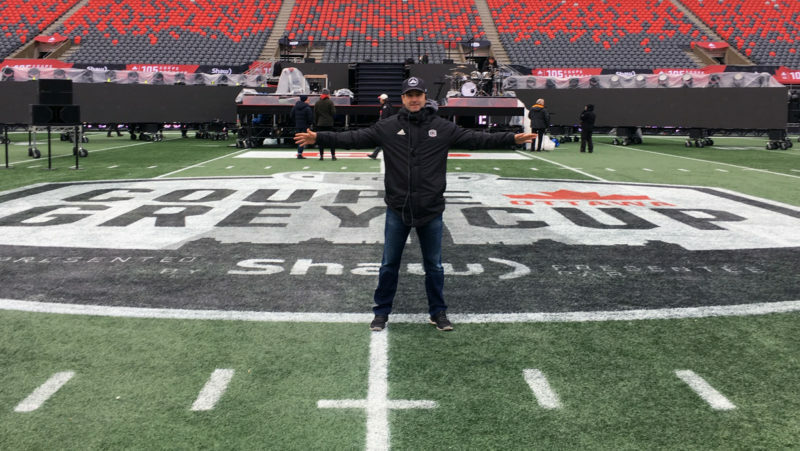 Forty-one-year-old Henry Burris overcame an injury scare in the warm-ups, eventually throwing for three touchdown passes and adding two on the ground to lead the REDBLACKS to the biggest upset in Grey Cup history. The Stampeders rallied from a 20-point deficit to send the contest to overtime – the first Grey Cup to go to overtime since the Eskimos and Alouettes did so in 2005 — but Burris’ touchdown pass to Ernest Jackson in overtime sent the REDBLACKS to an improbably late November victory.